Sobering Galerie is pleased to present POWER, an exhibition of paintings and pastel drawings by Madrid based artist, Kepa Garraza. This show will be the artist’s first solo exhibition in France. In this exhibition Kepa Garraza focuses on the use of sculpture to make portraits of historical leading figures directly related to political or military power. includes leading protagonists of history such as Philip II or Napoleon Bonaparte. All these characters have been key to understand the history of the Western civilization and all of them have used art as a propaganda tool to serve their own interests. Charlemagne to Louis XIV used an inherited symbolism from the classical world, adapting it to the uses and styles of each era. 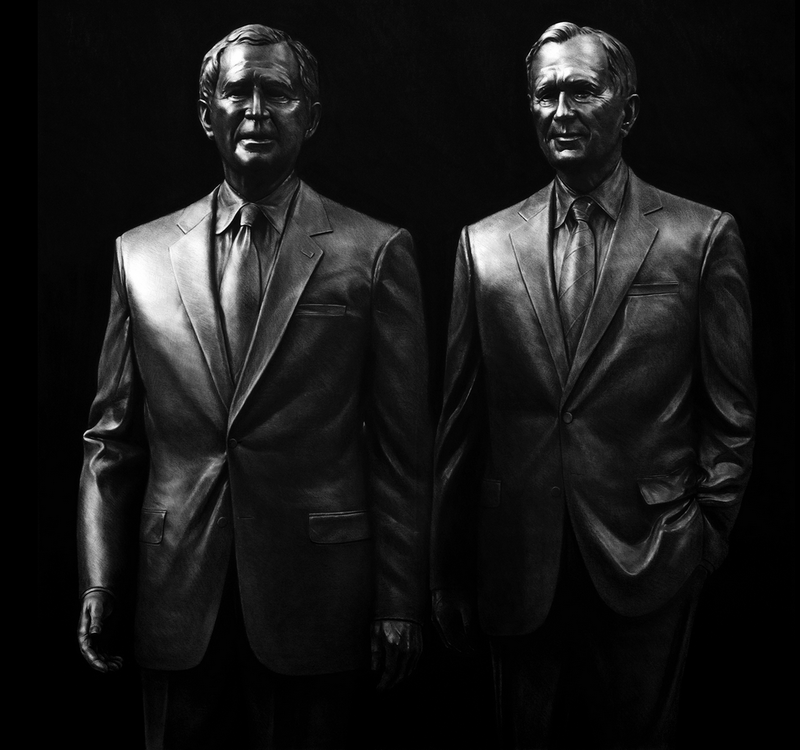 genre: the outsized portraits of North Korean leader Kim Jong-il or the 3D sculpture of George Bush. Nowadays the concept of propaganda has changed to more sophisticated forms but it still works in a fully functional way. Kepa Garraza was born in 1979 in Bilbao, Spain. He lives and works in Madrid. Garraza has been exhibited in various institutions worldwide. His work is included in the collections of several museums as of Patio Herreriano Museum, Artium Museum, Gustavo de Maeztu Museum.